Terry Gilliam's long-awaited Don Quixote movie (we honestly thought this film had been dead for a long time) is back with a production start date on the horizon. 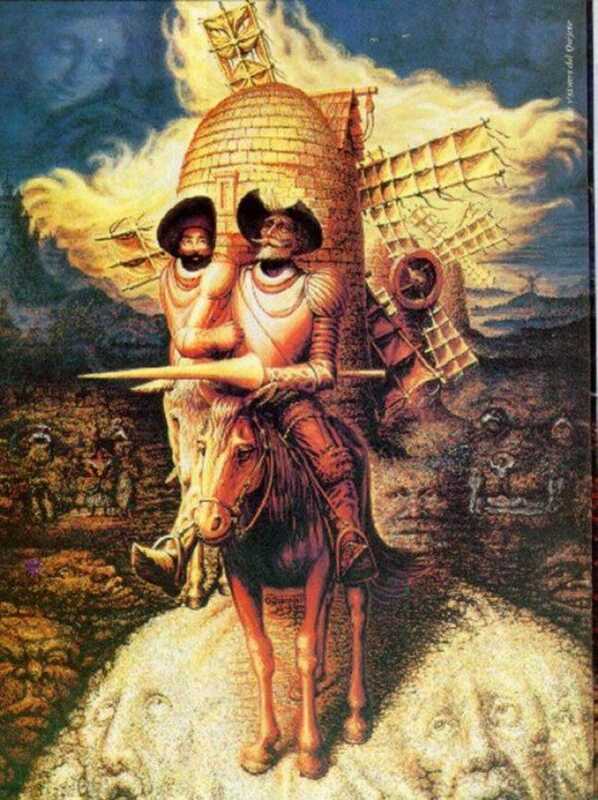 But there's one big change to The Man Who Killed Don Quixote: it's set in the present. The Wrap announced the first big change to Terry Gilliam's The Man Who Killed Don Quixote, which is that it's now set in the present day. And the movie is less about Don Quixote the character but rather Don Quixote the film. It's all very meta. Gilliam explained, "Our main character actually made a Don Quixote movie a lot earlier in his history...and the effect it had on many people wasn't very nice. Some people go mad, some people turn to drink, some people become whores." Honestly, Gilliam can be at his best when he's working on super meta projects. Fingers crossed for this one. And that shooting shall begin after Christmas 2014.